Get ready to find adventure with Froccs Rafting Club, offering a chance to explore the waters of Slovenia. 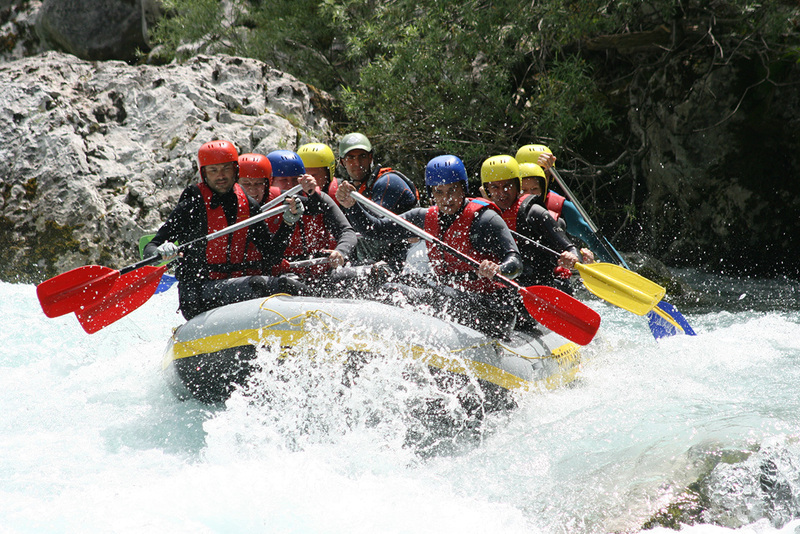 Activities include rafting, canyoning, kayaking, ziplining, and more. Package deals allow tourists to combine activities for even more fun--try rafting and canyoning, or ziplining and canyoning. If you prefer something else entirely, rent a bike and explore at your own pace. Check the website for more details. Plan a trip to Bovec easily and quickly by telling Inspirock to suggest an itinerary. An excellent team, it was an incredible experience for the first time vadvízre. I would recommend to anyone with a peaceful heart, who is not afraid to get wet, or specifically would like to be in water. Also, it is possible to slip off during the tour. A lasting experience! I really liked it! I can only recommend for children (12 years old), my daughter has is the point! Thank you! My wife and teenage kids had an awesome day on the Soca River with Martin as our guide. We were also really impressed with the dedication and service of the staff. We forgot our bag at base camp (where the canoes leave from) and even though it was the end of a long day the staff dropped us to the base camp, ensured we got our bag and then safely back in to Bovec. If you’re in the area I’d highly recommend this company for a great day out. I spent 3 days in Bovec with my girlfriend and we went to rafting and canyoning. All I can say that it was awesome, the place was beautiful, the guides were nice and professionals. They are organized and know what to do on the river. My girlfriend was a little bit afraid of the canyoning, but both of us jumped from the rocks. I will recommend canyoning to everyone who loves adrenalin or just want to have fun and recommend rafting to everyone (group of friends, or family) who want to have safe fun! I spent 2 days with my friends in Bovec, where we tried the rafting tour on Soca river and the cannoning tour in the surrounding mountains. These programs were very exciting. The team was very helpful, friendly and had a good sense of humor. Always paid attention to their guests. They are absolutely professional. During the tours our guides made photos and videos, so we can show everybody where we were. I highly recommend this team to everybody! I think they do the best trips and tours in Slovenia! We will return in this season again. kind and funny guides, especially Marci. thanks for the experience. Every day, we help thousands of travelers plan great vacations. Here are some tips on how to use your Listing Page to attract more travelers to your business - Froccs Rafting Club. 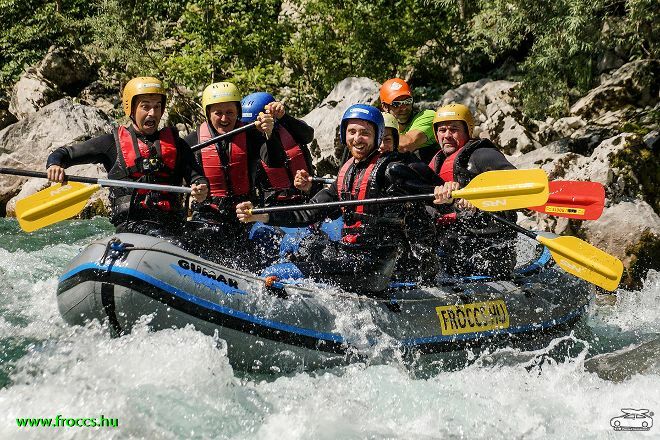 Promote your permanent link - https://www.inspirock.com/slovenia/bovec/froccs-rafting-club-a9207378769 - on your website, your blog, and social media. When a traveler builds a plan from this page, the itinerary automatically includes Froccs Rafting Club. This is a great way for travelers looking for a great vacation in your city or country to also experience Froccs Rafting Club. Promoting your link also lets your audience know that you are featured on a rapidly growing travel site. 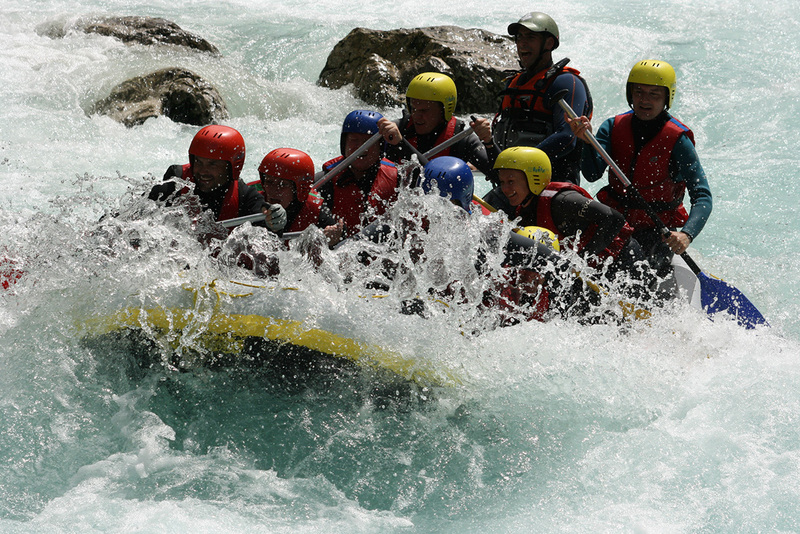 In addition, the more this page is used, the more we will promote Froccs Rafting Club to other Inspirock users. For best results, use the customized Trip Planning Widget for Froccs Rafting Club on your website. It has all the advantages mentioned above, plus users to your site can conveniently access it directly on your site. Visitors to your site will appreciate you offering them help with planning their vacation. Setting this up takes just a few minutes - Click here for instructions.